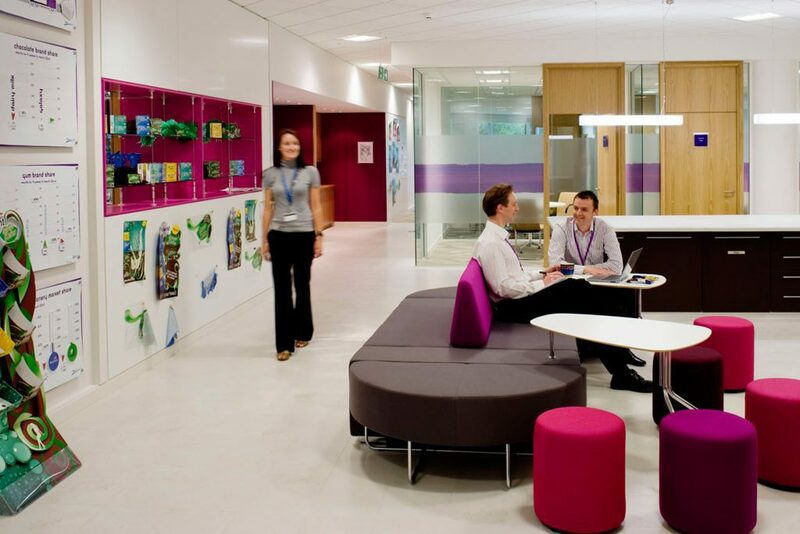 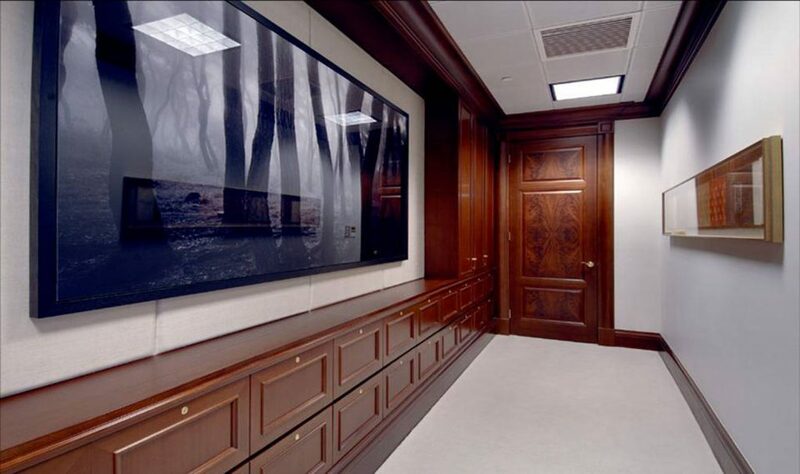 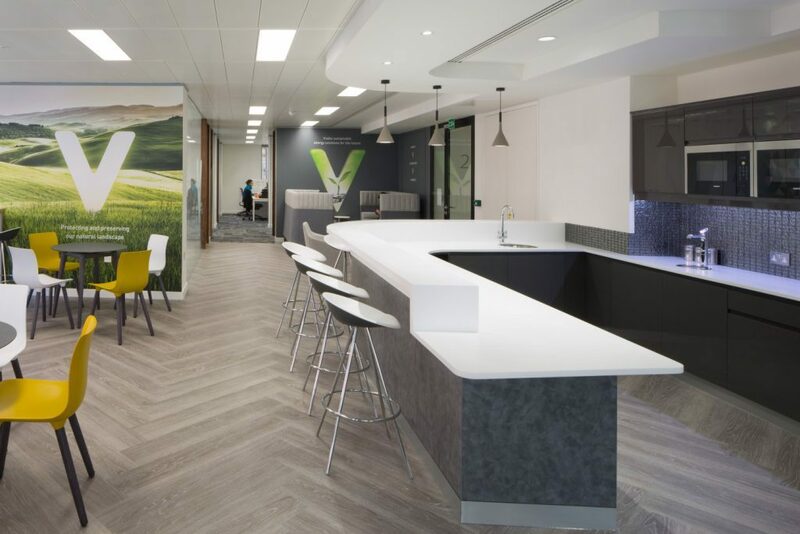 We worked with Vital Energi to design and fit out their new 4,400 Sq. 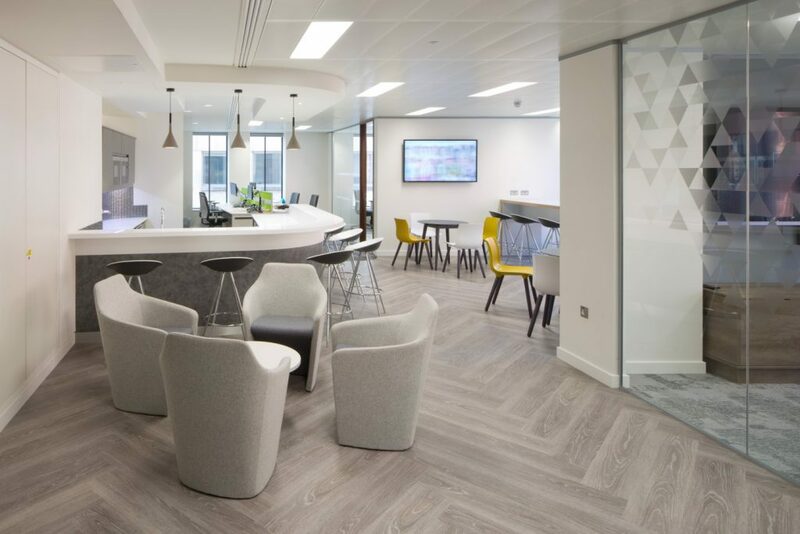 Ft London workplace. 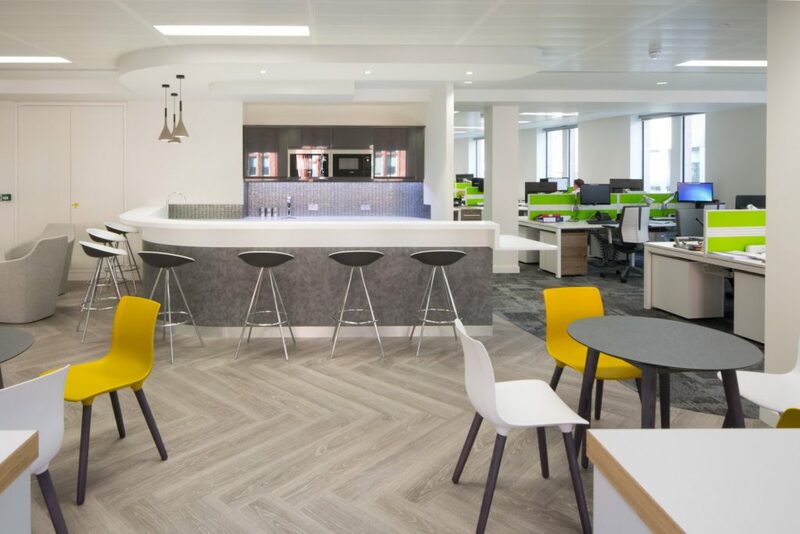 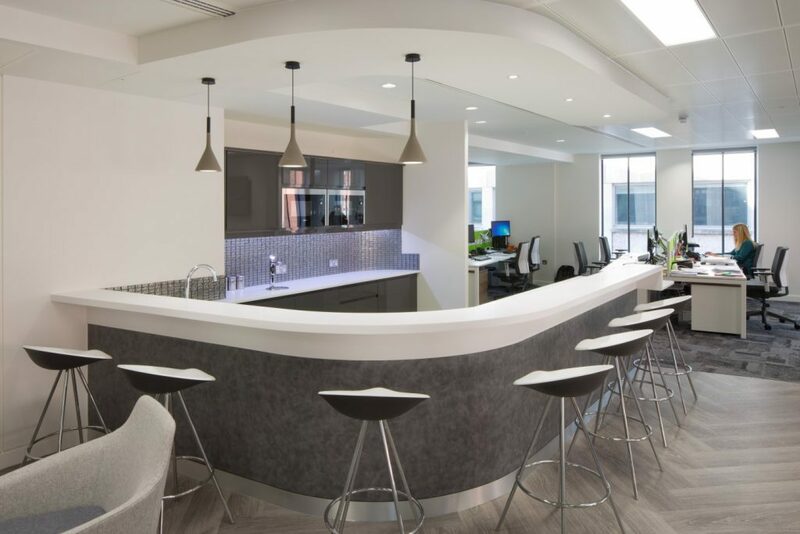 The space located at Holborn provides staff with a variety of work settings, where they can catch up with colleagues, hold informal meetings and collaborate with team members. 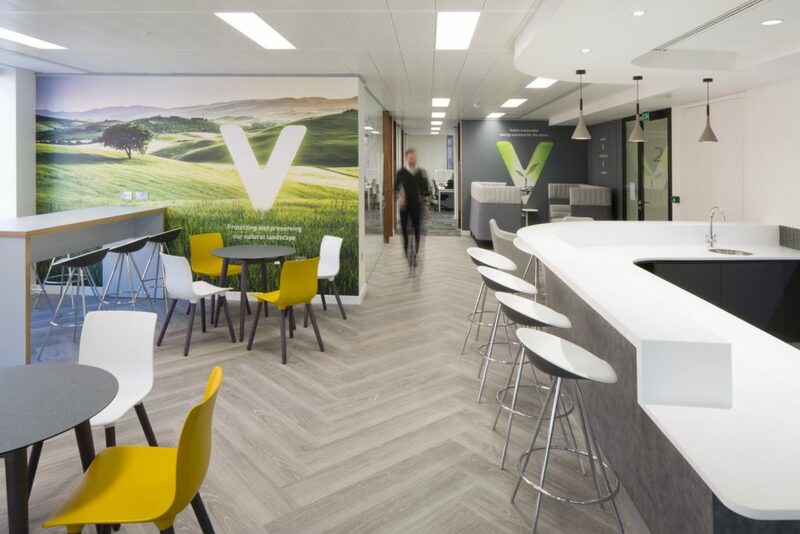 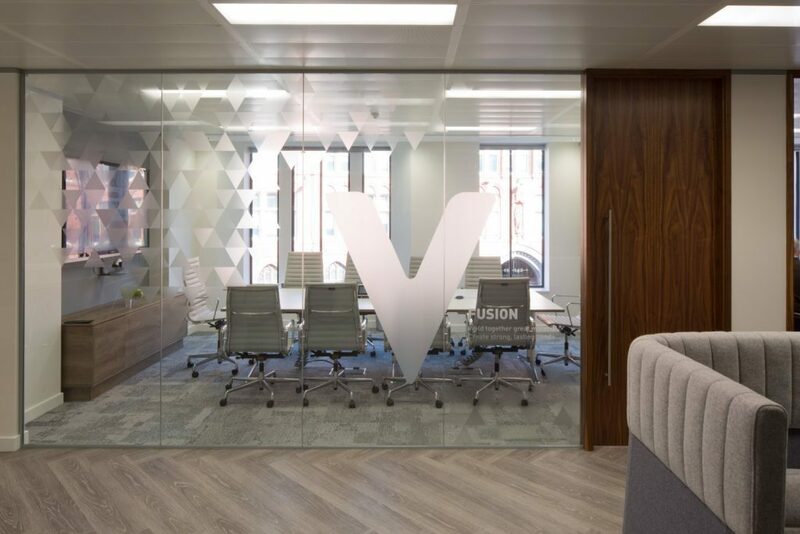 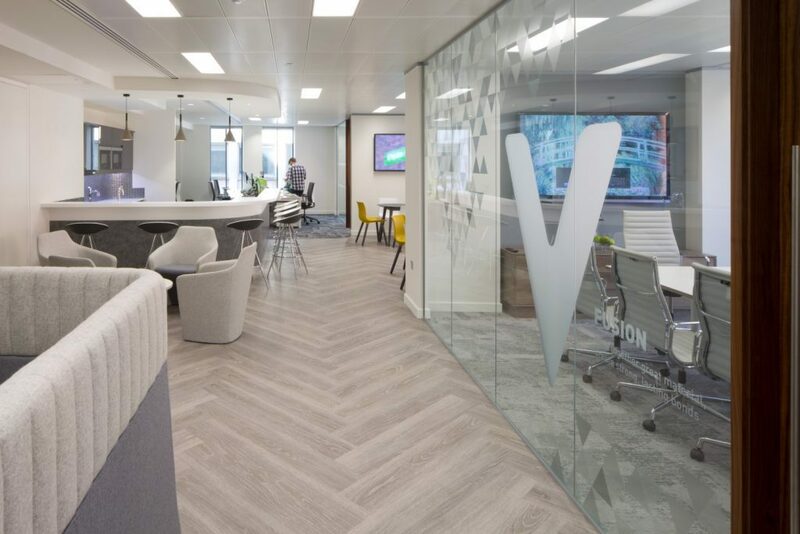 The office also embraces the Vital Energi brand with the’V’ from their logo visible on manifestations, while feature wallpaper provides a splash of colour. 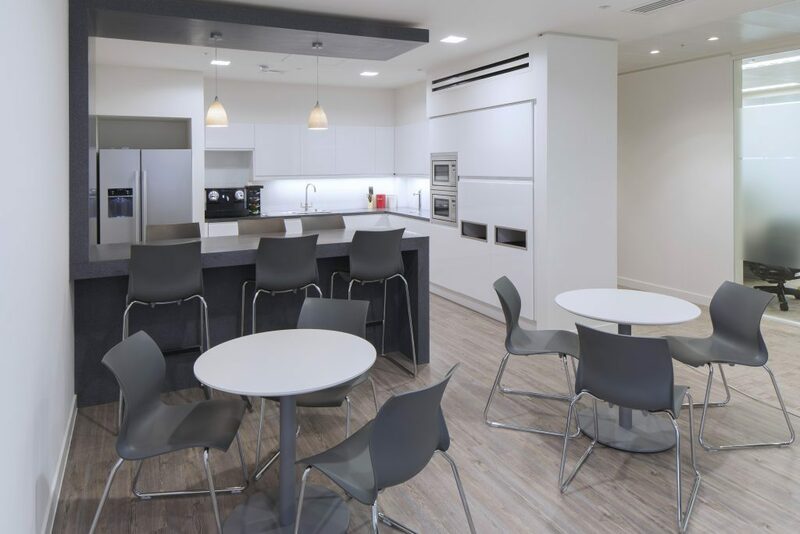 In addition, the guest waiting area, situated opposite the boardroom, offers fantastic views of the iconic Prudential building.